The Weekly Update: What can I say…Seattle teachers rock!!!! As you might know by now, teachers at Garfield High School in Seattle held a press conference on Friday and announced that they were not going to give the Measurement of Academic Progress (MAP) test to their students for a number of reasons. For the details, see the letter that was issued by the teachers of Garfield High School. Within hours, teachers at Ballard High School followed suit. You may have seen in the news that the Garfield teachers have decided that they are no longer going to give the MAP tests to 9th grade students at Garfield. These are tests that are given three times during the 9th grade year to assess a student’s performance level in reading and math and their progress during the course of the year. 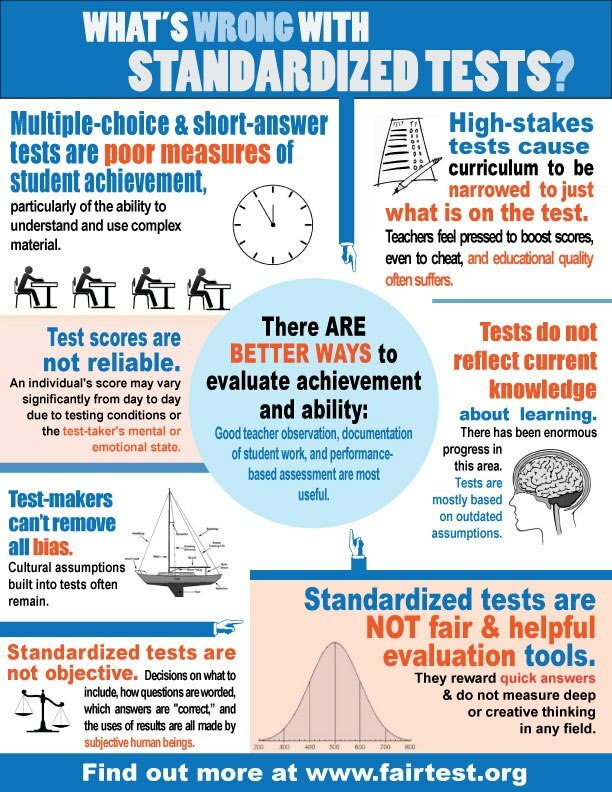 These tests have nothing to do with a student’s grades or their progress toward graduation. The test results are just information for the teachers and the school district. However, because the tests have no consequences for the student, many students do not take them seriously. As a result the test results do not really measure a student’s knowledge level. Teachers also object because the tests are not connected to what is being taught in the classroom and they take up a lot of time. Further, the teachers are concerned that the test results might be used to evaluate teachers which they believe would be inappropriate. The teachers believe that the grades the students are earning in the classroom are much better measures of the student’s knowledge level and educational progress. The Garfield PTSA shares the concerns of the teachers at Garfield with the MAP testing and supports termination of these tests. There are many students who start the 9th grade who cannot perform 9th grade level math and english work. Some students are far behind. The real issue is what the school district is going to do, starting early in a student’s educational life, to help as many students as possible perform at grade level. A major effort to get students to grade level performance and to keep them there through graduation requires a focus and resources that we have not seen from the District or the Legislature. It is this focus on improving student achievement and providing the resources to accomplish it that deserves all our attention. On a related note, in New York there is an organization that has been established named Change the Stakes. Change The Stakes (CTS) originated as a committee from the Grassroots Education Movement (GEM) who defend and organize by mobilizing educators, parents, students and communities against the corporate and government policies that underfund, undermine and privatize the public school system. As a group, GEM saw the need to focus attention around high stakes tests, as these form the nexus that unite the interests of students, parents, teachers, schools and communities. 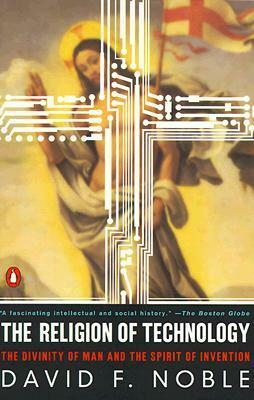 What began as a union of teachers soon grew to include parents who were concerned that the education of their children had transformed into testing and test preparation, that children were losing critical thinking skills in their search for the correct answer to multiple-choice questions, and that creativity and originality had turned to competition and 1-4 number grades, and elementary school education used to be risk-taking journey called ‘learning’ rather than a destination for promotion to the next grade. 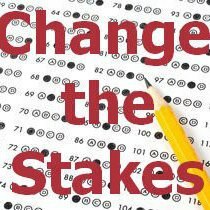 Change The Stakes is a unique organization composed of teachers, parents, professors and concerned residents of New York who oppose the use of high stakes, standardized testing as means of assessing student’s abilities and as predictors of academic success. CTS opposes teacher-training programs that reduce the art of teaching to data-analysis, and we oppose the use of these tests that are used to brand a student, a teacher, a principal, or a school as either a success or failure, with high-stakes consequences, that single snapshot bears an unwarranted amount of power. Furthermore, high stakes tests have been shown to be both racially and class biased, with scores reflective of a student’s socioeconomic status rather than actual achievement. Change The Stakes demands informed consent and a non-punitive process for parents to opt their child(ren) out of state and district standardized tests and genuine learning/educational alternatives during test administration for students who opt-out (sitting in the office for three hours is not an option). CTS also wants public dollars spent on high-stakes testing invested in resources and schools that benefit teachers and students. On January 27th at 1:00 PM PST, Parents Across America will be hosting a webcast titled High Stakes Testing and Opting Out: What every parent should know. Our guests will be Monty Neill with Fair Test, Shaun Johnson and Tim Slekar with United Opt Out and a Garfield High School teacher representing the teachers of Garfield High School who are opting out of giving the MAP test to their students. There will be a separate post with details on signing up for this webcast event next week. What happened this week is significant. We are turning back the tide of costly tests that achieve nothing at great expense in terms of time, resources and a better education for our children. 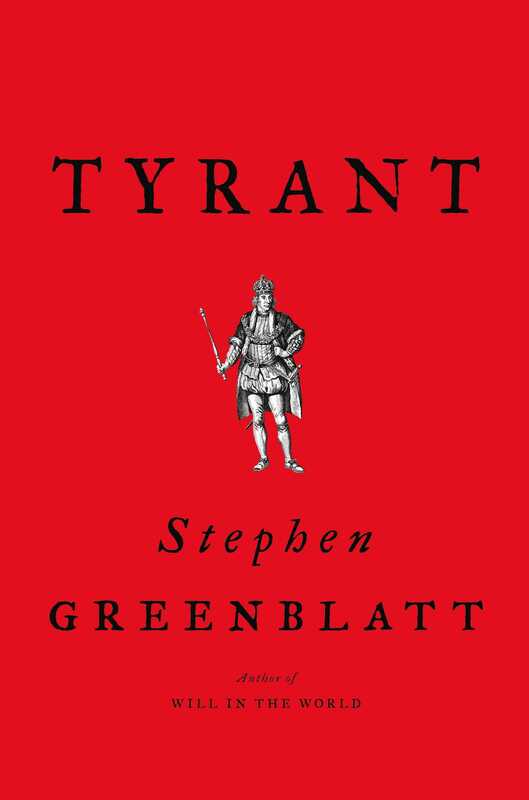 All of us can start a revolution or at least stem the tide that wants to overwhelm us. It takes one action, and then another, and before you know it, you have joined a chorus and then a choir. Stand up at your board meetings and let them know what you think, parents have more power than they give themselves credit for. Talk to your student’s teachers and share with other parents your concerns. All of these actions ultimately make a difference. 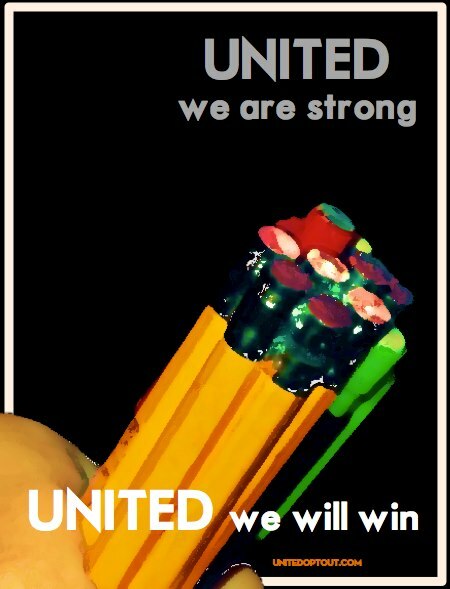 You can also make a difference by writing a letter to our Seattle superintendent, Jose Banda, at superintendent@seattleschools.org, and our school board members at schoolboard@seattleschools.org, stating your support for these courageous teachers. There is also an online petition that you can sign and a Face book page, Solidarity with Garfield High School Testing Boycott where you can share your thoughts. To follow is testimony that I gave 2 1/2 years ago in front of the school board in Seattle regarding the MAP test. At the time, I felt that nothing would come of it, that I was talking to folks who were not going to listen. As it turned out the school board didn’t but others did. Find your voice and make others listen.